Engineer does a great job of keeping them healthy and God did a great job making them beautiful. I like flavored vinegar and roses are perfect to be used as an infusing element. Roses have a lovely floral flavor and the subtle vinegar makes a fantastic salad dressing or tangy splash over a fruit salad. As an added bonus, it is beautiful since the color of the rose petal tints the vinegar. 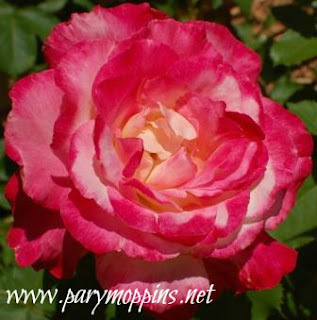 Make sure you use strongly scented roses that have not been sprayed with pesticides. 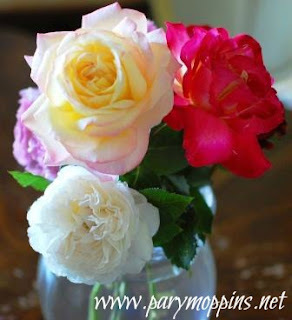 Fill a jar with washed rose petals. Cover in a dark place for a month or so. Use as you would any other delicate vinegar. Rose vinegar! Brilliant! I used to eat rose petals when I was a kid because I liked to see people's reactions. They taste pretty good actually. I'm pinning this! Oh I love rose the flavor of roses like rose water in fruit salads or sorbets. Mmmm...it adds an extra refreshing element. Rose vinegar! What an amazing idea!!! It is so simple Ms. Kat and adds an unexpected element.